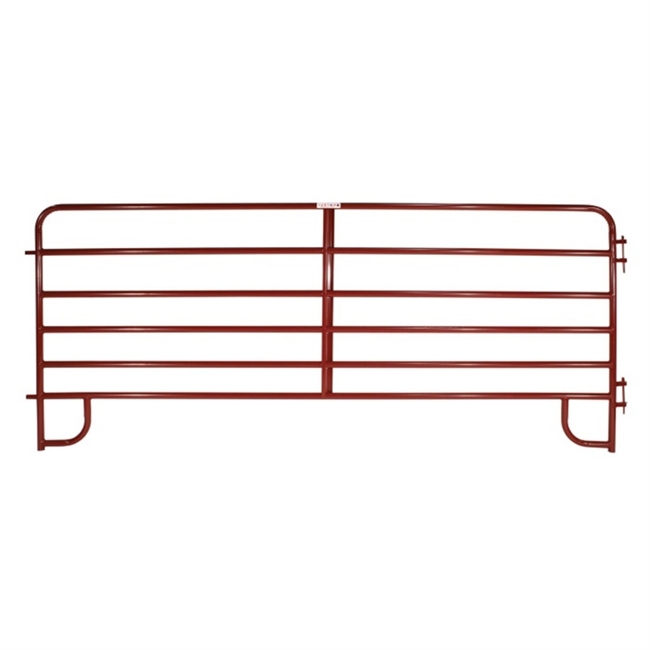 Tarter's 6-Bar Economy Corral Panel is ideal for light to medium confinement of livestock in round pens and working areas. Constructed of 1-3/4" round high-tensile strength steel tubing with continuous-welding saddle joints and Z braces for superior longevity in the field. Custom loop legs prevent sinking in soft surfaces and corrals are easily installed with the quick-pin latch system.